"THE WISDOM TO LIVE YOUR HIGHEST POTENTIAL"
You are here to help create a new paradigm for humankind. You are love in action here to raise the consciousness level. and everything you intended it to be. This is the most incredible time that has ever happened in human history as the Great Awakening of our human family is about to occur. The next wave of humankind will awaken at an unprecedented rate and intimately affect the lives of our family members, friends, co-workers, and those in our communities. With your help, the awakening journey of those around you can be a more loving, gentle and harmonious experience as one steps through the veil of illusion and into the Light. A new path forward is emerging and expanded possibilities for humankind are becoming the new way of living, loving, leading and thriving in our awakening world! It is time for the leaders and wayshowers of this Great Awakening to fully step into their power and guide the way forward. What is the Great Awakening and what role do YOU play? How do you use YOUR gifts and abilities to positively impact the world around you? What is really possible for humankind and how can YOU help make it a reality? You, yes YOU, have a major role in the Great Awakening that is taking place on our planet at this time. In fact, you have probably always known this somewhere deep within your heart. You dream of a world where there is peace, joy, love, abundance and harmony for all beings. You feel a deep sense of responsibility for creating a better world for others. You know you have some important mission or purpose in this life, but likely still feel unsure exactly what that is and how to fulfill it. You might even feel stuck, unable to move forward or overwhelmed trying to figure out how to share your gifts and live your purpose. You are a Wayshower! You arehere to assist in the Great Awakening and help create a new paradigm of love, relationships, health, wealth and community. You have been uniquely prepared with gifts, talents and abilities that you are here to share with the world as part of your mission. There has never been a more important time to embrace your power, ignite the force of love within you and Light the path forward as a leader during this time of awakening and ascension. Whether you have been on a spiritual path your entire life or just beginning to awaken to the power within you, it’s time to start living your purpose in a meaningful, fulfilling way. If you are reading this, you are ready to live your destiny and embark on the personal journey to living in higher dimensions of existence where new possibilities and potentials are waiting for you! You can call it Heaven on Earth, The New Earth, The 5thDimension or The Ascension. It is the Promise of a world without separation, prejudice, fear, scarcity and suffering. Your Highest Potential in this life experience is to live fully conscious and awakened in the extraordinary and miraculous world of the 5thDimension.Yet, as a Wayshower, your greatest joy and fulfillment will come from using your unique gifts and abilities to illuminate the path so that others may also find their way to the Light. There is a dream within the heart of every Wayshower and a knowing that a better way is possible. It’s time to fully activate the power and the dream within you and become a co-creator of love, beauty, peace, harmony and abundance on Earth. The 5thDimension is here and available to everyone, but you can NOT take the earthly burdens and limited systems of the 3rdDimension into these higher states of being. The old ways simply will not work for you anymore! You absolutely must release all guilt, shame, and feelings of unworthiness. You must surrender the need to control and force the outcome. You must release your old stories and the pains of the past. They do NOT serve your best interests or the greater good that is seeking to manifest through you. Love, joy, peace, abundance and well-being are your Divine Birthright! To align with these things, you MUST love yourself and cultivate a deep sense of Self-worth. It is ONLY when you embody your own Self-love and Self-worth that you can truly love, lead and inspire others.You will create more meaningful, authentic relationships and experience the love, acceptance, respect and devotion you desire from others. 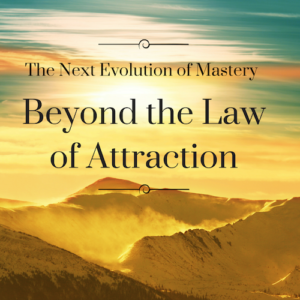 It is up to YOU to accelerate the evolutionary awakening experience within you and reach for the highest level of Self-mastery and Self-expression. There is a deep-seated desire within you to use the gifts you came here to give and to manifest the dreams in your heart. Youare Light focused in physical form. It is YOUR MISSION to create impeccably through the process of converting Light into form. You possess within you the highest virtues, qualities and abilities. You are compassionate, kind, loving, intuitive, creative and desire peace, joy, love and abundance for all of humankind, as well as animals and the planet. It’s up to YOU to embody your Truth, fulfill your mission here and live a Soul-inspired life powered and guided by your Sacred Heart. If you want to live in a more loving, peaceful, abundant world, you must first create it within you and only then, will you discover the power within you to co-create it in the world around you. THE TIME IS NOW! You have been uniquely prepared to help create a new paradigm of love, relationships, health, wealth and community. The opportunity is here NOW and it’s up to you! The New Paradigm of Love, Relationships, Health, Wealth & Community? This powerful, life-transforming course includes the wisdom and teachings to guide you step-by-step to living, loving, leading and thriving in an awakening world! Join Sara Landon & The Council for THE PATH OF THE WAYSHOWER COURSE! Register for this course NOW and save $100! Join Sara Landon & The Council as they guide you through the process of remembering your Divine Mission and your role in the Great Awakening. Discover how your own awakening experience uniquely prepared you to be a Wayshower. Why your responsibility is not exactly what you might think it is! 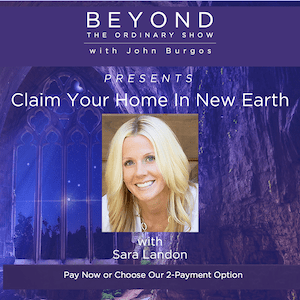 Join Sara Landon and The Council as you discover your unique gifts, qualities and abilities and why you must choose how you want to share your gifts with the world. Get clear on your purpose and how to fulfill it so that you never again feel stuck, overwhelmed or unable to move forward. 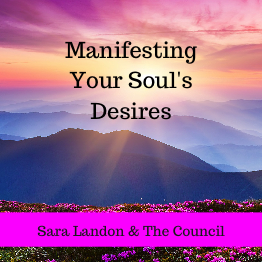 Join Sara Landon and The Council as you learn how to manifest the dreams in your heart and why it is YOUR MISSION to create impeccably through the process of converting Light into form. Understand how to use your personal power for your Highest Good and the Greater Good of all. Join Sara Landon & The Council as you discover the difference between 3rd Dimension & 5th Dimension and why things work differently in higher states of consciousness. Discover how to get to the 5th Dimension and how to STAY THERE! Join Sara Landon & The Council as you discover how to Light the path forward to a better way and embrace your role as a leader in our awakening world. Learn the difference between the role of teacher, guide, healer and wayshower and precisely when to play each role. CLICK HERE TO REGISTER FOR THIS COURSE AND SAVE $100 - CLICK HERE NOW! A New Paradigm Begins 2019 & Beyond! Are you wondering if you have A CALLING in this life, but struggling to figure out what it is and how to live it? Do you constantly feel like there are obstacles keeping you from moving forward and living YOUR LIFE'S PURPOSE? Or maybe you know what you really want in life, but continually find yourself feeling unsatisfied, unclear and unsure how to get yourself on THE RIGHT PATH. You are READY and now is the time to STEP INTO YOUR DESTINY! You have A CALLING and there is a PURPOSE FOR YOUR LIFE! You are here to help CREATE A NEW POTENTIAL FOR HUMANITY! CLICK HERE for more information or to access the full replay now! This powerful, transformational, life-changing opportunity includes THE WISDOM and teachings to guide you step-by-step to clear the obstacles and barriers in your path so you can move forward and fully live your destiny in 2019 and beyond. Process for unlocking your infinite potential in this life! Join Sara and The Council as they invite you to join The Path Of The Wayshower and create a new paradigm of relationships, health, wealth, power and freedom in 2019 and beyond. A new potential for humanity awaits us all and it’s up to YOU! LIVE YOUR GREATEST CALLING available now! Five-part channeled course to creating your best life possible. THIS IS IT …… This is what we have all been preparing for! I have wanted to create this channeled course with The Council for the past five years and now, finally…. We are ready! Every course and every vibrational experience with The Council to date has been leading to this five-week triumphant journey to radical new levels of awareness, an expanded Higher Self connection, and the steadfast confidence to jump into living your best life possible. There is no more holding back, no more dimming your light, and no more playing small. In this course, we are literally going to take a quantum leap forward into living the extraordinary life that awaits us all! We are pioneering a whole new level of awareness and experience like nothing we have realized before…. except maybe in the limitless creative constructs of our dream states. The veil will be lifted. The game will finally be revealed. Karma is over and our contracts are finished. You have taken your power back and you know how to use it to create what you want without fearing you will misuse it or cause harm. You know how to bring your fears and doubts to the light and transcend density. So now, get ready to live your greatest calling! This course is your invitation to a new level of harmonious alignment to your Higher Self. It’s time to meet the spiritual master that has been hidden in the shadows orchestrating your life experiences all to lead you to this moment. Who are you at the highest level? What is really possible for your life? How do you take the quantum leap forward? Allow the extraordinary to be revealed to you as you undergo a series of unexplainable miracles and coincidences that will transform your daily life and change the way you see the world. You can have what you really want and without fear that it will go away. It is possible for you to have it all… and know, that it only gets better from here! When you step into living your best life …. The possibilities are endless. Money and abundance will flow with effortless ease. Health and well-being will be inevitable. And success will feel like a daily occurrence of ever-present miracles and divine coincidences. Connect to your highest existence and transform what it means to have a human experience. You can live your best life possible and if you will apply the wisdom and teachings in this course, it is Our Promise that you will have the confidence to step into living your highest potential in this life. Will you accept the invitation to live your greatest calling? Live Your Greatest Calling ....GET IT NOW! This powerful, transformational, life-changing opportunity includes the wisdom and teachings to guide you step-by-step to live your greatest calling. Immediately available for download with purchase. There are subconscious programs running in the background, influencing every decision you make, hindering you from stepping into your full potential. These programs are causing chaos, confusion and suffering… unnecessarily. The time has come to let them go, transcend these old programs, reclaim your power, and live beyond fear! Have you have ever wondered what life would be like without the fear, self-doubt, and powerlessness that often keeps you paralyzed from moving forward, putting yourself out there, and living the life you want? If you want more money, better health, to attract true love, a new job or business, but don’t have it yet, it’s because there are sneaky, hidden fears keeping you from the very thing that you want. And, most of the time, you have no idea what the fears are or where the fears came from. It’s time to call these fears out of the dark and into the light. These programs are often so deeply engrained in your subconscious that no matter how hard you try to attract the very thing you want your fear and doubt will continue to repel and block you from receiving your deepest desires. But, what happens when you eliminate your deepest core fears and the limiting beliefs that keep you stuck, isolated, sick, and longing to realize your potential? What would it be like to live beyond fear…… can you imagine it? How would your life change if you knew without any doubt that you have the power within you to be anything, do anything, and have anything? How would it feel to live your highest potential each day and embody the health, wealth, love, and purpose that you so deeply desire? Well, you can! It’s time to RECLAIM YOUR POWER and live beyond fear! Join Sara Landon & The Council with guest teacher John Burgos as they present RECLAIM YOUR POWER! This five-part webinar series, plus two bonus calls includes an always intriguing, exciting, and interactive Q&A! This powerful, transformational, life-changing event includes the wisdom and teachings to guide you step-by-step to reclaim your power and live beyond fear! Join Sara and The Council as they show you all the ways that you are giving your power away and how to take back the power over your life. Join Sara and The Council as they share the secret to activating your Spiritual Powers so that you can live beyond fear once-and-for-all. Join Sara and The Council as they invite you to integrate your Ascended Masters Self and live your highest potential in this life. The 11 Spiritual Roles of The Soul: What role are YOU here to play? 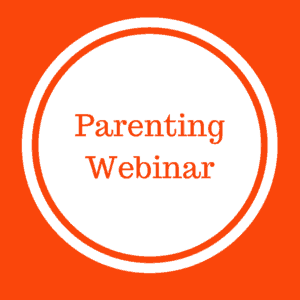 Sara Landon & The Council present this new webinar series available NOW! Are you feeling THE CALL to step into the role YOU have been uniquely prepared to play in this life? Why are you really here? Surely, everything you have gone through on this AWAKENING JOURNEY has been preparing you for something BIG, right? It's time to discover what IMPORTANT ROLE you came here to play in the great awakening and start sharing your gifts with the world! Sara Landon & The Council present a new webinar series called THE 11 SPIRITUAL ROLES OF THE SOUL: What role are YOU here to play? Join us on Thursday, February 1st as we launch this LIVE, online, four-week, SOUL INSPIRED OPPORTUNITY to STEP INTO THE ROLE YOU HAVE BEEN PREPARING FOR… possibly for lifetimes. If you have ever wondered why you felt like you weren’t really LIVNG YOUR PURPOSE or following YOUR CALLING in life, this course will give you the clarity, meaning, purpose, and fulfillment you have been looking for and help you ACTIVATE your unique SPIRITUAL GIFTS! 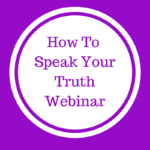 You absolutely do NOT want to miss this webinar series! Click here now! Sara Landon & The Council have created this new, evolutionary, interactive course with channeled exercises, tools, and experiential processes to support you in stepping into your spiritual role here on earth. This live, online, four-week webinar series includes an always intriguing, exciting, and interactive Q&A with The Council! *All calls are recorded and replays are provided. This powerful, transformational, life-changing event includes the wisdom and teachings to guide you step-by-step to live your life’s calling. Click Here and immediately access this course! You’ve likely heard a lot lately about THE NEW EARTH! Have you wondered what is really meant by The New Earth? And more importantly, what does it mean for you? The New Earth offers YOU a new paradigm of health, wealth, relationships, vocations, love, and everyday living. It’s here NOW and it’s available to you! If you are READY to start living in The New Earth NOW …….Join us for this 5-Part GLOBAL AWAKENING EXPERIENCE! It’s time to Claim Your HOME In The New Earth and step into a new dimension of love, peace, happiness, success, fulfillment, abundance, and leadership! Part One: What Is New Earth Ascended Mastery? This powerful, transformational, life-changing event includes the wisdom and teachings to guide you step-by-step to your highest ascension into New Earth living and ascended mastery. The Council shares the path and process forward and what you must do in your life today to create your own Heaven on Earth and accelerate your ascension process. "It is one of the biggest responsibilities of your life, so why doesn't it come with an instruction manual?" "The greatest thing you can achieve in the human experience is Self-Love." Creating the Career, Business, or Job That You Love! 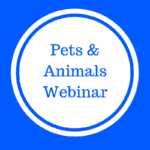 What you need to know about your pets and animals! Next Evolution of Mastery - Purchase Full Series NOW! Surely, by now, you have heard about the Law of Attraction! Chances are, you have even used the Law of Attraction to manifest a job, house or lover you thought you wanted. But, did it provide you the joy, happiness, and freedom you were looking for? Probably not. Maybe you even wish you could “un”manifest the things you have attracted into your reality. The Law of Attraction tells us you that you can have anything you want. Or does it? If you can leverage the Law of Attraction to have anything you want, then why haven’t you manifested the money, career, lover, home or health you desire? Here’s the real secret, there is so much more to it than the Law of Attraction! The next evolution of Mastery is here! 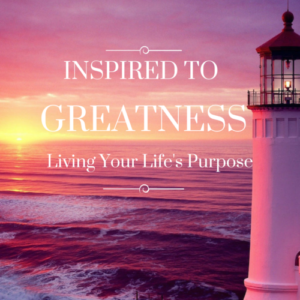 Is there a GREATNESS within you that you have yet to reveal to the world? Unleash the POWER within YOU to be ANYTHING! Are you READY to LIVE YOUR LIFE'S PURPOSE? Do you want more joy, purpose, and meaning in your life? Do you want to ignite the passion within you and cultivate greater levels of creativity? Get ready to unleash the power within you to create a life that you love! It’s time for YOU to become everything you are meant to be! 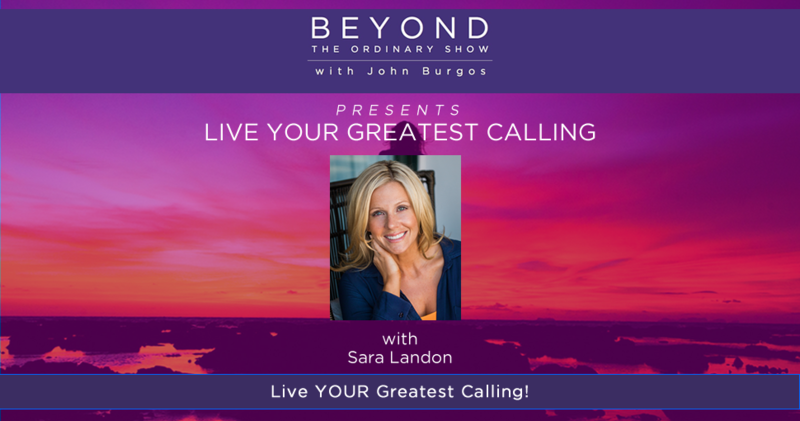 Join Sara Landon & The Council for this new, three-part webinar series, plus live Q&A, to INSPIRE YOU TO GREATNESS! This course is designed with the information, processes, and tools for Living Your LIFE’S PURPOSE! 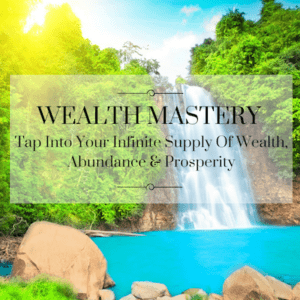 TAP INTO YOUR INFINITE SUPPLY OF WEALTH & ABUNDANCE! Do you want to access your vibrational escrow account filled with an infinite supply of money, prosperity, and financial abundance? If so, you must understand the spiritual laws of WEALTH and how to tap into INFINITE SUPPLY! Is it time to receive greater levels of abundance, wealth, and prosperity in your life NOW? Are you ready for a NEW PERSPECTIVE about money that could change your life? If so, you won’t want to miss this new, exciting webinar series with The Council! In this webinar series, The Council will give you the powerful processes, tools, and techniques you need toTap Into YOUR Wealth, Abundance, & Infinite Supply and create ALL THE MONEY you need and more! 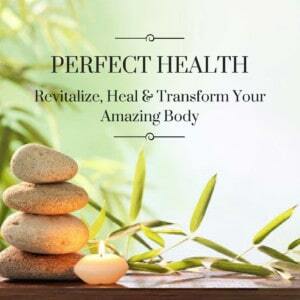 REVITALIZE, HEAL, & ENERGIZE YOUR AMAZING BODY! Do you want to heal your body of pain, disease, and illness? Are you feeling sluggish, tired, or depressed? Or maybe you are ready to release excess weight and transform your body to your ideal weight. In this online workshop series, The Council will inspire you to heal, transform, and revitalize your amazing body! 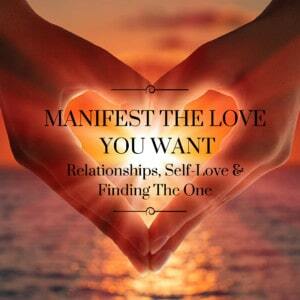 Are you ready to create harmonious relationships, cultivate greater levels of self-love, and find The One? This powerful, transformational, life-changing workshop includes the wisdom and teachings to manifest the love you want! This powerful, transformational, life-changing workshop includes the secret wisdom and teachings to guide you step-by-step to your highest ascension & accelerate your awakening. Your great awakening plays a critical role in The Great Awakening of Humanity that is beginning a new stage of evolutionary expansion in 2017. All of this is leading to the Manifestation of The New Earth! The Council shares the path and process forward and what we must do in our everyday lives to create The New Earth and accelerate The Great Awakening. Have you ever had the experience of manifesting something you thought you really wanted only to feel disappointed or dissatisfied once you had it? Or maybe, you don't even remember what it feels like to have the desire to manifest something you really want in your life? Sometimes, the desire to have the things you really want is so frustrating and uncomfortable that you do not allow yourself to tune into your desires and create new and wonderful things in your life. Your desires are meant to expand you and are an important part of your life experience. In fact, they are your life experience! You are capable of living a life of joy, purpose, meaning, and abundance when you are aligned with the desires of your soul. When you are tuned into your soul’s desires, infinite supply becomes available to you at all times for the things that you need, and life becomes really fun for you. Join The Council for this exciting, transformational, and guaranteed to be life-changing four-part workshop series on Manifesting Your Soul's Desires. This workshop series will help you discover how to tune into your unique soul’s desires, how to determine if a desire is a soul desire or a human desire, and what limitations hold you back from living a life of deep joy, purpose, meaning, and abundance, aligned with your soul's desires. Then the fun begins as you start allowing your life to unfold in perfect harmony with your soul's desires! This four-part workshop series is designed to help you apply this wisdom in your life once and for all and change your life! How To Apply The Wisdom & Teachings So You Thrive & Begin Living A Life Filled With Love, Peace, Harmony, Purpose, and Abundance! This webinar is for anyone who has lost a loved one and is looking to overcome grief and find peace. *Understanding The Perspective That "Death Is A Transition"
Purchase the replay of this AMAZING call and listen NOW! "Opening The Doors To Your Abundance"
Does money or the lack of it consume your thoughts and your life on a daily basis? Are you ready for a NEW PERSPECTIVE about money? Are you ready to receive greater levels of abundance, wealth, and prosperity into your life? If so, you won’t want to miss this exciting call with The Council! What does it mean to have wealth and how do you create more of it? How does Infinite Supply work and how to tap into it for the money, resources, and supply that you need? What is the secret to reaching the state of actually being rich? How to shift your relationship with money, wealth, and prosperity? What is the “Limited System” and how to navigate within it? What is the great tuition you pay and what is the highest degree? Will we ever have a currency-free society and if so, what does that look like? How your soul’s desires influence your manifestation of money? What you can do today to open the doors to your abundance! 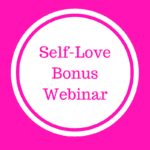 This webinar is for anyone who has ever struggled with an addiction of any kind or anyone who has loved someone struggling with an addiction. Listen to the replay of this AMAZING and life-changing call NOW! Immediate download after successful purchase. How to heal any disease and realize your perfect health, no matter what it is! What role do emotions play in your health? Is there a blessing to health related issues? What role do genes play in your health? "It was so wonderful to speak to the Council last night! I really do feel their support with me throughout the day and keep reminding myself of their messages. Today, I am full of gratitude and very inspired to raise my vibration in any way I can. Breath, joy, appreciation, inspiring reading, etc. I will listen again." -Anna B. "What's Next: Everything Changes 2017"
"The most powerful, transformational webinar yet! WOW!" Available NOW for immediate download! Who Are You? Why Are You Here? What Are Your Unique Values? What Gifts Are You Here To Bring To The World? What Is Your Purpose? This workshop series is designed to guide you to your truth, to help you remember who you really are and why you are here, and to connect you with your power. Once you discover the true nature of who you are and the purpose for your life, you’ll experience more joy, success, and happiness than you ever thought possible. 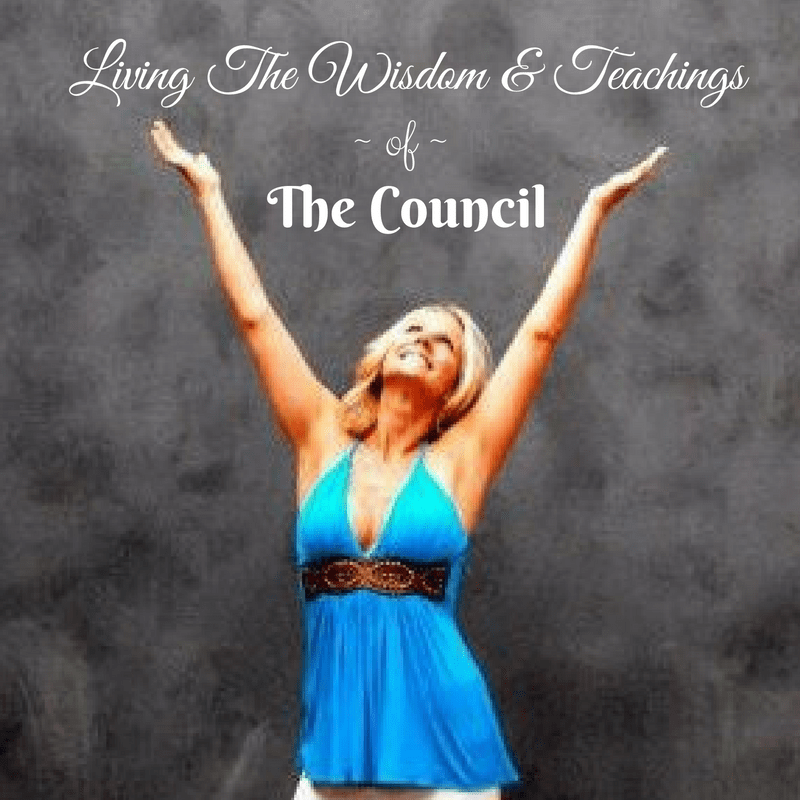 Sara Landon teaches a PROFOUND and EXCITING three-part online workshop called, Living The Wisdom & Teachings of The Council. 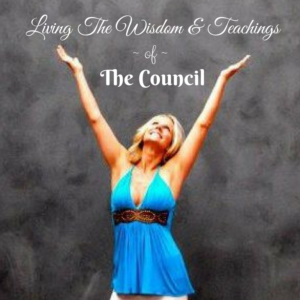 Sara shares how she uses and applies the powerful teachings, insights, and techniques from The Council to live a more conscious, awakened, joyful life! Discover The Answers To These Questions: Who Are You? Why Are You Here? What Are Your Unique Values? What Gifts Are You Here To Bring To The World? What Is Your Purpose? How To Apply The Wisdom & Teachings Once-And-For-All, So That You Can Enjoy a Life Filled With Love, Peace, Harmony, Purpose, & Abundance! Get Daily Inspirations, Event Updates, PLUS A FREE GIFT! 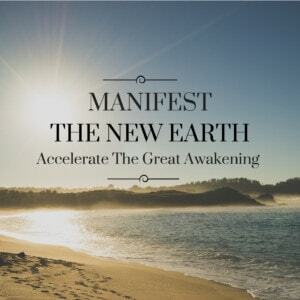 - “Claim Your Home In The New Earth" Five Part Webinar Series!